In the late seventeenth century two penniless young Frenchmen, René Sel and Charles Duquet, arrive in New France. Bound to a feudal lord, a "seigneur," for three years in exchange for land, they become wood-cutters - barkskins. 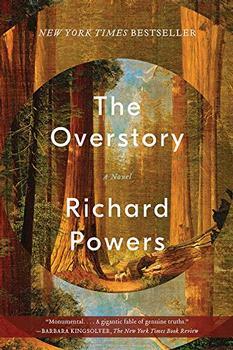 René suffers extraordinary hardship, oppressed by the forest he is charged with clearing. He is forced to marry a Mi'kmaw woman and their descendants live trapped between two inimical cultures. But Duquet, crafty and ruthless, runs away from the seigneur, becomes a fur trader, then sets up a timber business. Proulx tells the stories of the descendants of Sel and Duquet over three hundred years - their travels across North America, to Europe, China, and New Zealand, under stunningly brutal conditions - the revenge of rivals, accidents, pestilence, Indian attacks, and cultural annihilation. Over and over again, they seize what they can of a presumed infinite resource, leaving the modern-day characters face to face with possible ecological collapse. 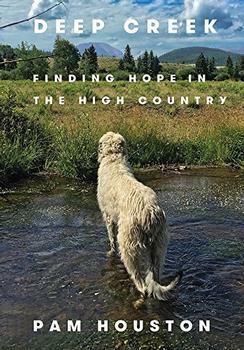 Proulx's inimitable genius is her creation of characters who are so vivid - in their greed, lust, vengefulness, or their simple compassion and hopethat we follow them with fierce attention. Annie Proulx is one of the most formidable and compelling American writers, and Barkskins is her greatest novel, a magnificent marriage of history and imagination. In twilight they passed bloody Tadoussac, Kébec and Trois-Rivières and near dawn moored at a remote riverbank settlement. René Sel, stiff black hair, slanted eyes, yeux bridésin ancient times invading Huns had been at his peopleheard someone say "Wobik." Mosquitoes covered their hands and necks like fur. A man with yellow eyebrows pointed them at a rain-dark house. Mud, rain, biting insects and the odor of willows made the first impression of New France. The second impression was of dark vast forest, inimical wilderness. Why does Barkskins begin with Charles Duquet and René Sel? Discuss their similarities and differences. How do these two characters influence not only their descendants but also the three-hundred-year course of the narrative? Monsieur Trépagny says, "Men must change this land in order to live in it," and "To be a man is to clear the forest" (p. 17). Why does he believe this? What does René seem to believe about the forest and about being a man? Wuqua's garden, the Garden of Delightful Confusion, "pulled something inside Duquet as a child pulls a toy with a string" (p. 91) and stirs him "with an indefinable sensation" (p. 92). Why is Duquet, typically jaded and unimpressed, so moved by his experiences in China? Barkskins is a sprawling, epic tour of the recent history of man in relation to the forests of the new world and the clash between indigenous populations of those territories and incoming prospectors – a situation that continues today. It is a thought-provoking work of dedication, written in assured, confident prose that's worth persevering through, particularly for readers who enjoy learning about history and the natural world through character and storytelling. (Reviewed by Claire McAlpine). Annie Proulx weaves [a] wealth of research, [and] brilliant imagination in [her] new novel Barkskins. Annie Proulx is a fearless writer. Monumental. [With] prose of directness, clarity, rhythmic power and oaken solidity. . . Barkskins is a potently imagined chronicle of mankind’s dealings with the North American forests. Barkskins is a towering new work of environmental fiction. [It’s] a tale too beautiful to miss, excellent for long afternoons spent swaying in a hammock. Dazzling...Her pitch-perfect sentences, instead, encompass the entire Western world, and its ever-growing concern with ecological and environmental change. Starred Review. Despite the length, nothing seems extraneous, and not once does the reader sense the story slipping from Proulx's grasp, resulting in the kind of immersive reading experience that only comes along every few years. Starred Review. Proulx's signature passion and concern for nature as well as her unnerving forensic fascination with all the harm that can befall the human body charge this rigorously researched, intrepidly imagined, complexly plotted, and vigorously written multigenerational epic. Starred Review. Another tremendous book from Proulx, sure to find and enthrall many readers. Annie Proulx's historical novel, Barkskins, covers 320 years from 1693 to 2013. While it focuses more on the social and ecological impact on the lives it follows, the story wouldn't exist without the context of the political situation that brought these Frenchmen onto North American soil. French interest in the New World began with King Francis I of France, who in 1524 sponsored Giovanni da Verrazzano (an Italian explorer in his service) to navigate the region between Florida and Newfoundland with the intention of finding a route to the Pacific Ocean.